What is Rancio in Cognac ? How to recognize Rancio ? You don't need to be an expert taster to enjoy a rich, old cognac, but many lovers of fine aged spirits enjoy identifying aromas and flavours and comparing their assessment with other people. For no two persons' nose and palate are exactly alike. When tasting and describing wood-aged spirits, one word is essential, although explaining it is close to impossible: 'rancio', or in the case of cognac specifically, 'rancio charentais'. Once experienced it's never forgotten, but how to describe it? The first hints of true 'rancio' usually begin to appear in the late teens of a cognac's age and from 20 years onwards it develops greater and greater complexity. It is hard to generalise, but early 'rancio' (18-30 years old) tends to be dominated by floral, nutty, dried fruit and spicy notes. From around 30 years onwards more pungent spice notes such as nutmeg emerge, along with tobacco and cedarwood, as in the aroma of a cigar box. At 40-50 years old and beyond, tropical and overripe fruit aromas appear, accompanied by old, polished leather, similar to well-used equestrian tackle or a library of old books. The lists below are not exhaustive, but you will find most of these aromas in the Prunier Age Statement and Vintage ranges. TASTING: Your nose and palate are unique! We're interested in your opinion. Every cognac is different, as is every human nose. And while there are only five basic tastes that humans can perceive (sweet, sour, bitter, salt and umami), the human nose can recognise at least 10,000 different scents. Much of what we recognise as 'taste' is in fact derived from aromas. Some noses, however, may be more sensitive to a particular aroma than another and sometimes a nose might be unable to detect a certain smell at all. This phenomenon is called nose-blindness and is the reason why most professional tasters rarely work alone, preferring to tasting with at least one colleague, to provide a different perspective. 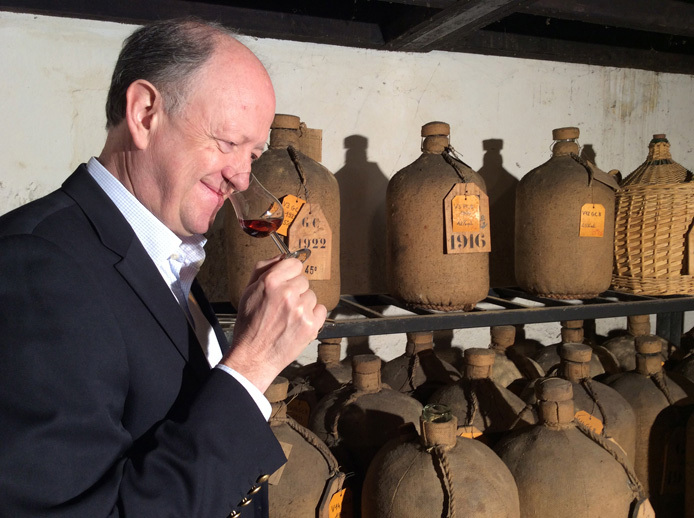 We have provided detailed tasting notes for all the cognacs in our Age Statement and Vintage ranges, compiled by the Prunier Master Blender and Cellar Master. But your perception and judgement of each cognac may well differ and, if it does, we are interested to hear from you and thereby build our repertoire of aromas. So, if you would like to submit your own tasting notes for any of our cognacs, please send them to us either by email to info@cognacpruniertravelretail.com , or using the contact form here. We will publish the most interesting notes in our blog and will be glad to welcome their author to taste with us in Cognac on the occasion of a visit to our cellars.